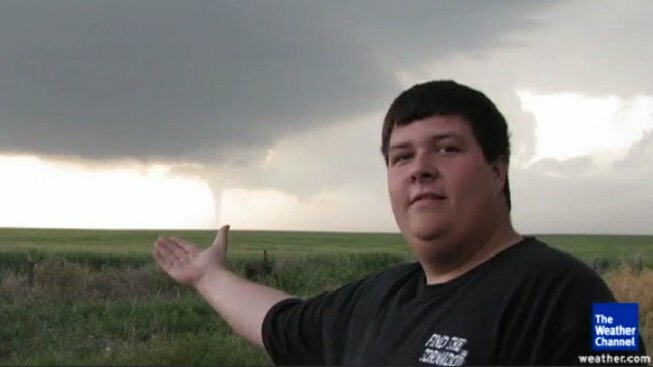 Andy Gabrielson was killed Saturday in a head-on collision in Oklahoma, he was heading home after chasing storms in Texas. A storm chaser featured on The Weather Channel who had been chasing storms in Texas and was headed home was killed in a head-on collision in northeastern Oklahoma. The Oklahoma Highway Patrol hasn't released the names of those killed in a double-fatality accident on the Turner Turnpike in Sapulpa Saturday afternoon, but the Weather Channel said one of them was storm chaser Andy Gabrielson. OHP Lt. George Brown said a vehicle driving west in the eastbound lanes of the highway collided with another vehicle near U.S. Highway 66. A Weather Channel spokeswoman didn't immediately return an email seeking comment on Sunday. According to a statement on the channel's website, Gabrielson, who is from Minnesota, was on his way home after two days of storm chasing. The statement said he was a contributor to severe weather coverage on the network.